As we age our skin naturally loses volume. This volume is sustained by collagen, elastin and hyaluronic acid, all of which diminish with age. The skin loses its shape and can appear dull and saggy in certain areas. Radiesse is a dermal filler that works to support these skin structures and maintain the plump, fresh look of youthful skin. 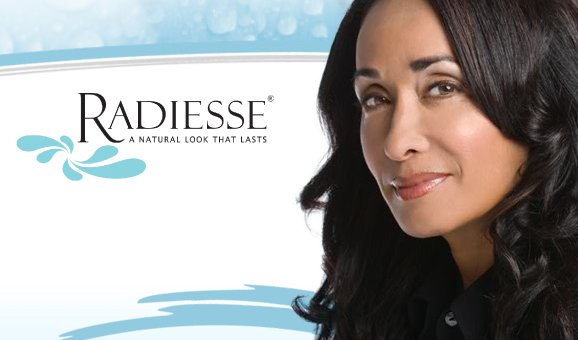 Once injected, Radiesse volumises the area of treatment with instant results. There is no delay in looking 10 years younger and enjoying the sculptured profile lost with the passing of time. The dermal filler acts as a scaffold beneath the skin, supporting natural collagen production, giving a natural look that will last up to a year between treatments. It is clinically proven to last up to one year for a cost effective treatment schedule.